Everybody gets triggered… every body. When I was growing up, I hardly got triggered. I was so easy going that I didn’t let anything bother me. Well, quite honestly, now that I’m a grown up… it wasn’t that nothing bothered me, it was that I always saw everyone’s side of the story even if I felt there was a better way to live. In other words, I honored everyone where they were on their journey and didn’t feel the need to change them. Well, fast forward to today, I get triggered sometimes daily. Sometimes it’s from my kids who I believe teach me more than anything about living expansively and abundantly. 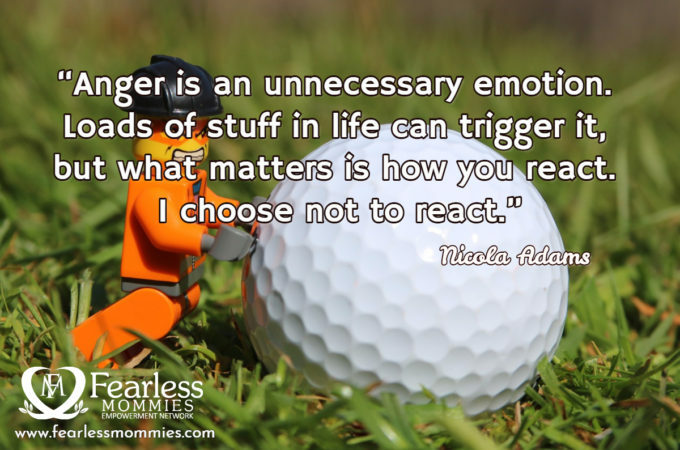 I’m also a target for my kids triggers when they don’t get their way… or vice versa haha. I’m also triggering people as I step out and talk… speak truth and work on layers of ‘hiding’ that I’ve chosen in the past to make people comfortable (including myself). I’m feeling an urgency to up level the energetic vibration around us. I’m recognizing that suffering is happening every day. Even if you reading this today, are not suffering… rest assured someone in the world is suffering. Suffering may be a strong word, what I really mean is that someone is having a hard time in life. It doesn’t have to be this way. We don’t have to live this way. As I step out and become more vocal in what I feel is true today. I’ve triggered people and being a fun loving inclusive spirit… this is not an easy place or comfortable place to be in. I have compassion for these souls that are lashing out and I’m not here to ‘change’ anyone. I’m here to speak what I see as Truth, move people to live more consciously and be a part of a purposeful abundant future. Today, I wanted to talk a bit about Triggers and Haters because if you are living your purposeful journey, you will experience people lashing out at your words. It’s okay to trigger people! I’m not going to tell you it’s going to be fun but I’ll tell you it’s worthwhile to step into the light. This is what I got today… triggers happen when we want to protect our ego. Ego likes to control, keep things safe and essentially protect you. Unfortunately, protecting you sometimes means it doesn’t want you to cross the street unless you’ve checked in with it. Oh shoot… just realized the mirroring of being an over protective mom and ego, sometimes I’m THAT mom. Ego doesn’t want you to hurt yourself while you are growing up. It’s well meaning and it’s not evil… lol but a lot of dark vibration energy was birthed from this place. If you understand that, you’d understand every time you feel resistance to something that will actually help you ‘transform’ spiritually into an adult, think of it as a overbearing mother or father who has the best intentions but really didn’t know you or what you wanted in life. It’s okay to tell this part of you thank you for watching over me all these years but I’ll take over from here. Unfortunately this overbearing parent will live with you until you decide it’s time for YOU to move out… and that sometimes takes time. Understanding triggers can be complex. Ego likes to blame, so when someone gets triggered, the easy way out is to say it’s someone’s fault you’re feeling that way. As a mom, I feel it’s my kids fault if one of them is being blatantly disobedient and taking their time while we’re rushing out the door. The stretch and harder path to transformation is that I actually could be a better prepared parent so that our time isn’t rushed. Ugh… I hate it when it’s my fault!!! On a side note, we were late over 30 times to school last year, we’re nearing end of October this year and so far we’ve been late ZERO times… yipppeeeee ki yyyaaayyy!! what are you feeling that needs to be protected? are you keeping someone out from some space? what is really upsetting you inside? why does it upset you? what can you allow to just ‘be’? These will scrape the surface of what’s going on. If you find it helpful, enlist an intuitive coach to go through your triggers… it always adds another layer of insights to get another person’s point of view. Haters… well, they are people that have allowed their triggers to get to an extreme. I say ‘allow’ but really they aren’t conscious that they are doing it, they are allowing an autopilot of limiting beliefs stream through their ‘consciousness’. There’s nothing to worry about or fix… you need to allow them to ‘be’ sometimes and trust that there’s a bigger force that has a hand over it. The beauty of haters is … and yes, there’s beauty in it… haha… if you spend some time trying to understand their point of view and how it affects you, you likely will end up with much more clarity for your journey forward. Sometimes it's stressful balancing all the different roles we play as moms and leaders. Want to stay in abundant flow? Want IN on conversations on Moms In Leadership?! Enter your email here to get notified with upcoming interviews with amazing mom leaders!